I bet you were starting to wonder if I would ever upload a project again right? LOL Well I have one to share! This is my take on CPS #44. 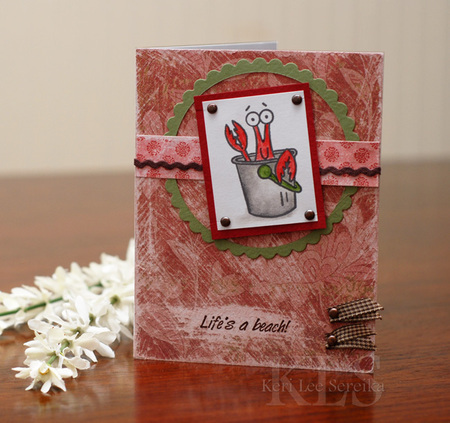 If you have not yet tried the CPS Sketches by Tami Mayberry I really think you should! It is lots of fun!!! Anyway, Enjoy! Patterned Paper: Hannah Papers -K& Co.